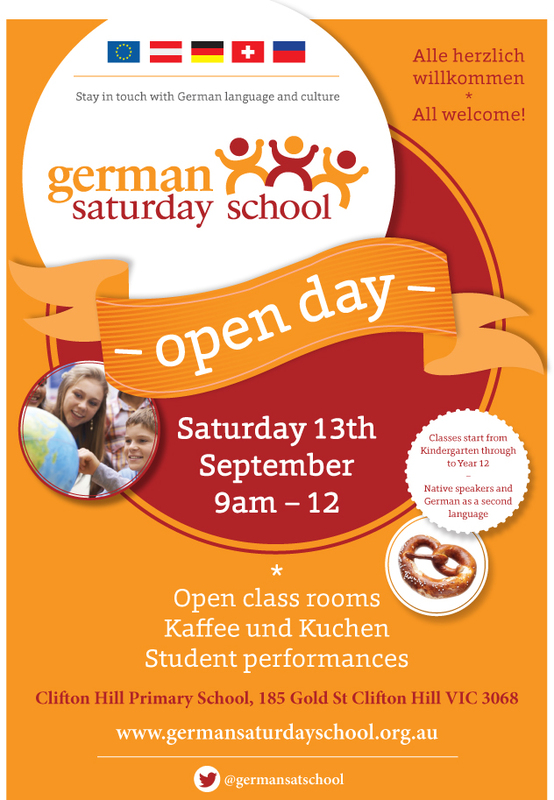 We look forward to seeing you at our Open Day this Saturday morning. It’s a great opportunity to witness GSS education in action by visiting the classrooms from 9 to 10am. There’ll be coffee and cakes during the morning and then from 10:45 to noon the students will put on a performance in the school hall behind the school building. School committee members, teachers and our principal, Magdalena, will all be wearing name tags. Feel free to introduce yourself, ask questions, or offer your help with setting up chairs, food and drink. And of course we always encourage new faces and ideas on the committee, so if you’re keen to play an active role in the education of your charges, please let us know. In particular we need a president and a treasurer — no previous community school experience is necessary. If you’re able to bring a plate of food to share, please drop it off in the kitchen/staff room and committee members will bring it out for sharing as soon as possible. Pretzels will be on offer for $2. The general public is welcome, too, so feel free to spread the word.